Republican task force member shuts down funding recommendation. The bipartisan Joint Education Funding Task Force met yesterday to address the McCleary funding gap (you can watch the hearing here); the state supreme court is currently holding the state in contempt in the McCleary case for not fully funding K-12 education. To be fair, the legislature has put an additional $2.5 billion in aggregate over the last three legislative sessions into K-12 education since the 2012 supreme court mandated full education funding; and those add-ons have brought K-12 funding to about $18 billion per biennium (up above the $14 billion line item when this crisis started.) However, the K-12 line item is far short; it's about $3.5 billion shy on teachers’ salaries. In fact, current K-12 funding relies largely on about $3.6 billion per biennium in local levies to pay teachers, which violates the court’s rule that the state is responsible for the K-12 tab. At yesterday’s hearing, Summer Stinson, a board member with Washington’s Paramount Duty, a grassroots group of parents advocating for school funding, had two specific suggestions for the committee: a capital gains tax and closing the 600 tax breaks that are worth about $300 billion. State senator Ann Rivers (R-18, Clark County), who specifically asked people making public comments to offer solutions, went on to dismiss Stinson’s suggestions as mere “talking points…that make us feel good.” Senator Rivers said a capitol gains tax wasn’t reliable—a guideline of the court’s order—due to fluctuations in the economy. Rivers’ herself seemed to be channeling a talking point, though. And one that’s fatuous. 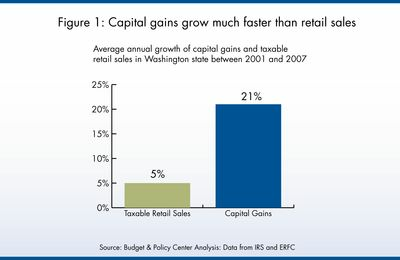 A report from the liberal Washington Budget and Policy Center (and the governor), put revenues from a capital gains tax at $800 million per year—and the WBPC found that capital gains taxes generate revenues faster over time than sales taxes. More importantly, with a tax system where any sort of income tax is MIA, we've already got a wobbly base—sales and property taxes—that are equally vulnerable to a fluctuating economy. 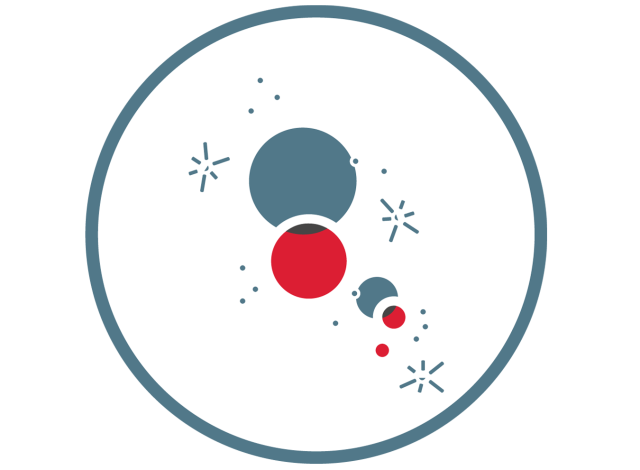 Adding in a capital gains tax would actually add stability by locking in another source. It’s also weird for a Republican senator to call out a capital gains tax for being an unstable source of income. Not only does the data appear to indicate that the opposite is true, but since the McCleary mandate went into effect in 2012, the GOP has relied on one-time transfers to help backfill education funding.